​Bijan Omrani is an historian and classicist. He was educated at Wellington, and then read Classics and English at Lincoln College Oxford, where he contributed to the Spectator as an undergraduate. 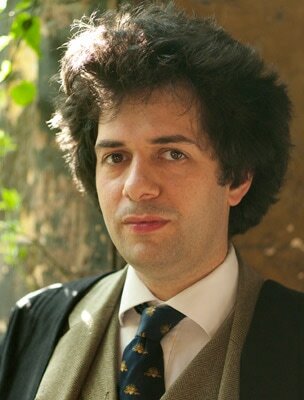 He produced his first major publication, Afghanistan: A Companion and Guide, in collaboration with the seasoned Afghan traveller Matthew Leeming in 2005, and since then has edited and published numerous works, articles and book reviews spanning the fields of classical history, Afghanistan, and Central Asian history. He has taught Classics at Eton College and Westminster School. He is known as a writer of Latin and English verse, and his Latin Horatian Ode on the London 2012 Olympics was endorsed by the mayor of London, with extracts published in the Evening Standard. He has written for a number of publications, including The Telegraph, Spectator, Standpoint, the Literary Review, History Today, BBC History and Geographical Magazine. Omrani has also lectured and broadcast widely, commentating on the Classics and Afghan history for BBC Radio 4, Voice of America, France 24 and Sky News. He has spoken at numerous venues including the British Museum, the RGS (Hong Kong chapter), the Royal Society for Asian Affairs, King's College London, SOAS, Asia House, and the University of Miami. He has also briefed army officers and journalists on aspects of Afghan history. He is currently the editor of the Asian Affairs Journal. He is a Fellow of the Society of Antiquaries, The Royal Geographical Society and The Royal Asiatic Society.